wholesale suppliers of bath and body products such as bath salts, soaps, skin care products, cosmetics, fragrances, aromatherapy oils, scrubs, body washes, shower gels & hair care products. SAVE 90% on 500+ TOP Perfumes, Fragrances, Body Lotions, Bath Salts & Shower Gel's for Men & Women inspired by The HOTTEST International Designer Brands! 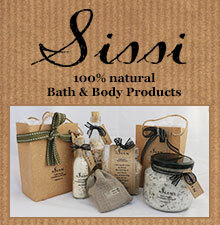 100% Organic Bath & Body Products. Manufactured using all natural products, quality essential oils and medicinal flowers. Get The BEST DISCOUNT PRICES on 400 Designer Fragrances, Perfumes, Bath & Body Products! Wholesale handmade soap, bath salts, mosaics, frames and other arts and crafts products. 500+ TOP Designer Fragrances, Perfumes, Bath Salts, Body Lotions & Shower Gel in completely unlabeled bottles for you to personalise for personal gifts from your heart! We are Importers and suppliers for the wholesale trade. We import perfumes, cosmetics, baby products, toiletries, health and beauty products, biscuits + we have our own name branded products. Autumn Breeze provides an enchanting selection of home decor, fragrance and pamper products.